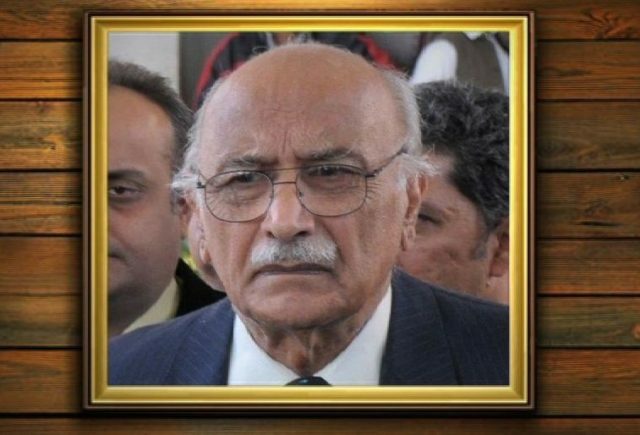 Former chief of air staff, Air Marshal Asghar Khan passed away in Abbottabad, his family said on Friday. Asghar Khan, who was the first Muslim commander-in-chief of the Pakistan Air Force, expired after a prolonged period of illness at the age of 96. The funeral prayer for his eternal peace will be offered after the Friday prayers at a Pakistan Air Force Base in Islamabad today. His funeral prayers will be offered on Saturday in Abbottabad also.